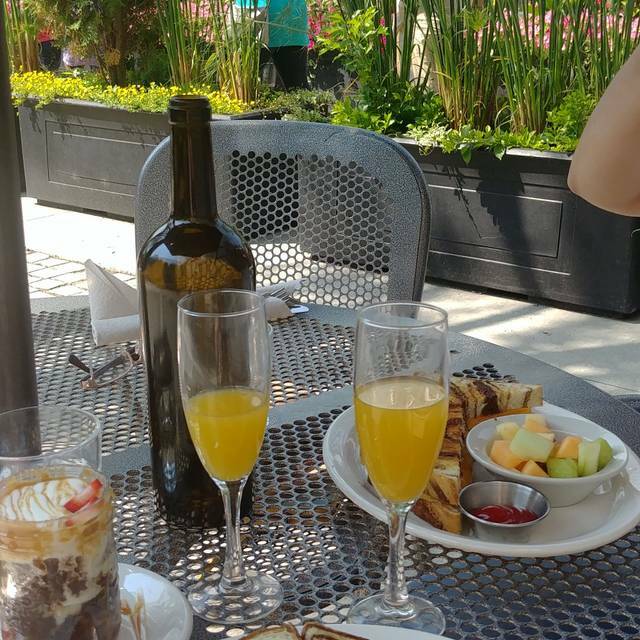 You must make reservations at least 5 minutes in advance of the time at Culina Cafe at the Muttart. In this particular venue it would be difficult to control extra noise so I wouldn’t be too critical. The service and experience was excellant, considering some of our party was late due to car problems. I did celebrate my Birthday in Culina. I like it, very friendly staff, unique food, not big plates, fresh. Very cozy location. My Birthday in January, not so many places around Edmonton, where you can cut winter mood. So Muttard one of them, and Culina Restaurant really bonus, after or before you can plan to visit Pyramids. Very nice of event planning Date Night and Family nights in Muttard. After you will defiantly to stay in Culina for a Glass of wine or coffee. I had been in Culina twice. One time in Sunday lunch, second time in my Birthday. Both times love it and will recommend to my friends and everybody to visit to Culina. Thank you for Culina staff you made my Birthday very special. The food was excellent - well prepared, delicious and healthy. This restaurant is within the Muttart Conservatory, a peaceful oasis of beautiful plants in our cold winter city. When we were at Culina they were playing loud jazz music - really jammin clarinet that cut into our conversation and was inappropriate for a peaceful restorative experience. When I asked if the music could be changed the waiters looked at me like I was crazy - although they did decrease the volume and then changed the music to a female vocalist. Am I the only one who prefers guitar or harp music as a background to eating a meal. Can't stress enough how good that meal was. I've been in the restaurant business (fine dining as well) for nearly 20 years and have had few meals that were on the same level. Compliments to the chef! Amazing work.